The appointment of Tomomi Inada as Japan’s Defence Minister, and the lack of tough questioning of Inada from the domestic media, is yet another indicator of how far Japan is in its descent into authoritarian rule under Prime Minister Shinzo Abe. Inada is a longstanding rightwing extremist with a history of expressing nationalistic and militaristic views. She said in 2006 that the objective of schooling must be to raise “elites” who would sacrifice their lives for their country. Regarding the infamous Yasukuni shrine, where it is said that the souls of soldiers fallen in battle rest, Inada believes that Japanese must pray at the shrine to “vow they will be next” in dying for the nation. In 2011, she argued that Japan should develop nuclear weapons. Yet, these chilling statements were barely even reported on in the mainstream media upon Inada’s appointment, essentially giving her a free pass. Indeed, this situation is not new, as the Japanese press has been effectively muzzled. Abe and his Liberal Democratic Party (LDP) have spent years exerting overt pressure on the left of centre Japanese press to refrain from ‘biased’ coverage, i.e. any commentary that deviates from the government position. The LDP has summoned TV directors to their HQ to chew them out, and several prominent journalists critical of the Abe’s policies were replaced in a short span of time, in circumstances many view as suspicious. Before the 2014 elections, the LDP sent a threatening letter to media outlets demanding ‘impartial’ coverage, and in 2016, the Minister response for broadcast regulation stated in parliament that licenses could be revoked if programming was not ‘politically neutral’. The message is clear: tow the line, or else. International experts have sounded alarm bells: Japan has been in free-fall in the 2016 World Press Freedom Index published every year by Reporters without Borders, plummeting from a respectable 11th place in 2011 to 72nd place in 2016. In April, the UN Special Rapporteur on Freedom of Expression stated in April that ‘a significant number of journalists … [felt] intense pressure from the government, abetted by management, to conform their reporting to official policy preferences’. Abe’s efforts at silencing the press bore fruit during the recent Upper House election, in July. Even by the normally docile standards of the Japanese press, commentary was neutered in the extreme. Normally left of centre newspapers bent over backwards to present ‘both sides’. Political debate programs were notably fewer than in previous elections, and what little commentary there was was shunted to the end of news programmes. One could even have been forgiven for forgetting there was an election campaign in train. Meanwhile, right of centre media outlets have become Abe cheerleaders, trumpeting the duboius triumphs of so-called ‘Abenomics’, and the alleged security threat posed by China. In this situation, it is little wonder that the LDP emerged victorious in July. Abe’s efforts at stifling freedom of expression do not end with the media: state schools, where teacher unions have traditionally been left leaning, have also been targeted. It is commonplace now for teachers who refuse to stand or sing the national anthem to be subject to formal discipline, and thought police in some schools even check that teachers are actually singing the lyrics (as opposed to just mouthing them). The LDP recently posted a web based form on its site asking for concrete reports on ‘biased’ teachers who ‘attempt to propagate a particular ideology in class’ (the example in the narrative was of a teacher who expressed opposition to the war bills). Though the government denies this, plans reportedly even exist to grade primary students on their patriotism. It is no secret that Abe longs to change Japan’s pacifist Constitution – and the recent elections give him the required 2/3 of the seats in both houses to initiate a referendum on Constitutional reform. Abe did his utmost to present the recent election as a referendum on his economic policies, avoiding the controversial topic of Constitutional reform. Nevertheless, Abe announced immediately after the election that he will initiate the debate at the next parliament, to start this autumn. The longstanding desire of both Abe and the LDP to do away with the pacifist Article 9, which “forever renounce[s] war as a sovereign right of the nation and the threat or use of force as means of settling international disputes”, has been reported on both domestically and internationally. However, in many ways, Abe has managed to weaken Article 9 to the extent that it is almost irrelevant. In the summer of 2015, Abe ignored large scale protests throughout the country and bulldozed through parliament legislation that allows the government unprecedented freedom to engage in military interventions abroad – hitherto almost unthinkable in pacifist postwar Japan. The government made no secret that the legislation would enable Japanese military to participate in US interventions in the Middle East and elsewhere, without the adoption of special legislation as has been required. Coupled with legislation strengthening government secrecy – also rammed through parliament over cries of protests and expressions of international concern – Abe could now potentially send the military abroad without giving parliament any serious explanation. Abe has also discarded the long standing government prohibition on arms exports. With no public consultation to speak of, Japan has become the world’s latest merchant of death. Abe has personally been extremely proactive in promoting Japanese arms sales as an engine for growth (though this has as of yet been met with limited success). It recently came to light that the government had agreed with the Government of Israel on joint development of drone weapon technology, assuring Japan’s participation in the oppression of the Palestinian people. Indeed, commentators close to Abe have heaped praise on Israel, calling it a model of advanced democracy and swooning over Prime Minister Netanyahu’s ‘masculinity’. 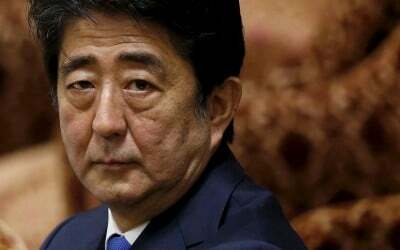 In reality, Abe’s fixation on Constitutional reform is not confined to Article 9. As history has shown (in Japan and elsewhere), military escapades abroad come with tools for internal oppression, to stifle dissent – and it is such tools that the LDP has in mind. The LDP’s draft revised Constitution (which, since its publication in 2012, has received almost no attention in the mainstream Japanese media) is a model for despots and dictators everywhere. The LDP’s draft Constitution is not aimed at proscribing the limits of government prerogative: rather, it is the people whose rights would be restricted, while authorities enjoy unfettered power. Clear and unambiguous language prohibiting torture in the current Constitution would be trashed under the LDP’s revisions – a clearly worrying sign, given the ongoing reports of systematic torture of criminal suspects at the hands of the Japanese police. Indeed, all of the extensive human rights safeguards in the current Constitution are essentially done away with, under a blanket restriction that the people “must understand that freedom and rights are accompanied by responsibilities and obligations” and that the exercise of rights ‘must never oppose the public interest or public order’. Promotional material published by the LDP says that “’Public order’ means the ‘social order’, and refers to a peaceful social life. It is obvious that individuals claiming their rights should not cause inconveniences for the social life of others.” The vague notion of a “peaceful social life” is particularly worrying, as senior LDP politicians have called peaceful demonstrations against government policy “a form of terrorism”. Indeed, Abe has suggested that he might start with proposing Articles to allow the government to declare a state of emergency, which could allow rights to be restricted practically at will. Other LDP material, published in a manga format, dismisses the current Constitution as “individualistic”, arguing that “just because you have fundamental human rights doesn’t mean you can do whatever you want … if everybody acted selfishly, society would fall apart.” LDP material also lies about Japan’s legal obligations under international human rights law, suggesting that international law allows for the kind of sweeping restrictions in the LDP draft. Unfortunately, none of this should come as a surprise. Though rarely reported on domestically, Abe (and most of the politicians he has appointed to successive cabinets) has well documented ties with the Nippon Kaigi, a shadowy group of right wing extremists that advocate for a return to the glory of empire and the doing away with “Western” values (e.g. individual rights and gender equality). The reigning Emperor, a committed pacifist by all accounts, visibly had shivers up his spine at an event in April 2013 when Abe and other conservative politicians greeted him with loud cries of ‘tennou heika banzai’ (long live the Emperor), the fascist war cry of the 1930s (an incident also mainly ignored by the mainstream Japanese media). The signs are ominous indeed. Left of centre commentators whisper that Japan is heading towards the full blown fascism of the 1930s. What may be more likely is a form of authoritarian government (ala Turkey or Russia), where oppression becomes the norm behind the façade of democratic institutions, such as sham elections and a subservient press. Either way, in the absence of a fundamental change of direction, the future of Japanese democracy looks bleak. Saul Takahashi is a human rights lawyer and activist based in Tokyo. He has worked for Amnesty International in Tokyo and in London, and also for the UN Office of the High Commissioner for Human Rights in Palestine.